Ever since I was a little boy, I’ve been a fan of trains and railroads. Maybe it was my first electric train set that did it but, like lots of little kids, I fell in love with this mode of transportation that glides along iron rails stretching off into the horizon. Growing up in the rural South, I often watched trains passing in front of me at railroad crossings, but it would take a long time before I’d ever ride on one. In fact, I’d been flying for years before I ever took my first train ride. It was in Germany in 1992, and I still remember the novelty of walking into a station and buying a ticket on the spot for a train to take me to another town about half an hour away. There was something very charming about that moment, and it would mark rail travel — in my mind — as something quintessentially European. Later on, working in the DC office of a New York law firm, I got a lot of experience riding the rails between Union Station and Penn Station. I had a few travel adventures on the rails between DC and South Carolina, too (when Amtrak‘s fares were low enough to warrant an 8-hour roll instead of a 50-minute flight), but it wasn’t until my return to Europe in 2009 that my love affair with trains really blossomed. Why? Because for the first time in my life, I was living in a place where I could take a train to almost anywhere — whether 500 miles away or only 5. France’s rail system has 29,213 km (18,150 miles) of track, which makes it the tenth largest in the world and the second largest in Europe, after Germany (and not counting Russia). To put that in context for an American, the United States has about 8 times as much track (226,427 km or 140,700 miles), but that’s in a country 17 times the size of France. Of course, it’s hard to compare two countries so different in geographical size and population density, but it does show how dense the rail system is in France: for every square kilometer of land in France, there’s 53 meters of track, about twice the density of the United States’s rail system. The French rail system isn’t even the densest in Europe, though; the Czechs, the Swiss and the Germans are far ahead with 120-125 meters of rail for every square kilometer of land. In fact, the French are just 17th in the world in terms of rail density, behind the rest of Western and Central Europe (save Spain, Portugal, and Ireland). Just imagine how in love I’d be with trains if I lived in Zurich, Frankfurt, or Prague! 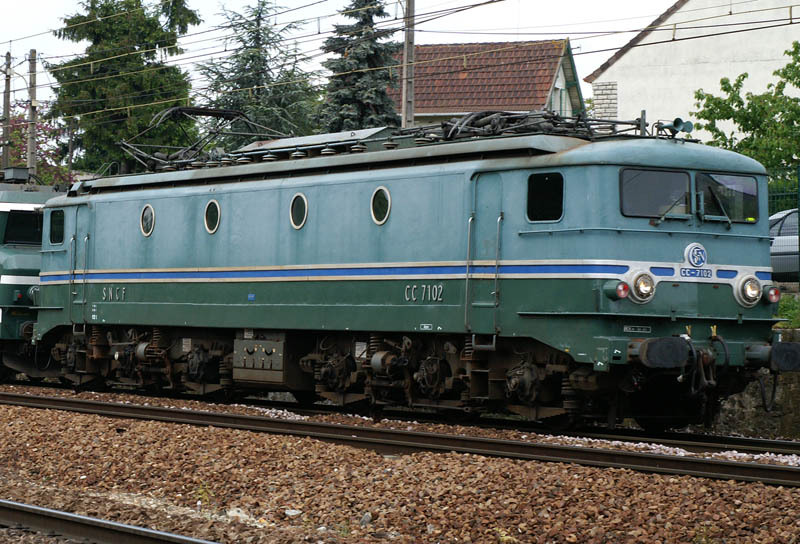 The French railway system today is maintained and operated by two state-owned enterprises: Réseau Ferré de France or “RFF” (“Rail Network of France”), which owns and maintains France’s railway infrastructure, and Société Nationale des Chemins de fer Français or “SNCF” (“French National Railway Company”), which operates both freight and passenger rail services, including train stations and traffic control operations. It wasn’t always that way, though. The initial rail infrastructure was built by the national government in the 1840s, with main lines radiating out from the capital. Rail operations, however, were vested in a number of small, private companies which, by the 1860s, had coalesced into six large regional companies: Nord, Est, Ouest, Paris-Orléans, Paris-Lyon-Méditerranée, and Midi. These regional monopolies continued to expand the rail network, but only within their regions and back towards the capital. As a result, France ended up with outlying regions connected by rail to Paris … but not to each other. (In fact, this was blamed for some of France’s logistical problems during the Franco-Prussian War of 1870-71.) This Paris-centric system finally devolved into one with intra-regional routes after the 1938 nationalization of the private railway companies into SNCF. Today, you can travel from many cities in France without going through Paris, but some trajectories still require a visit to the capital. 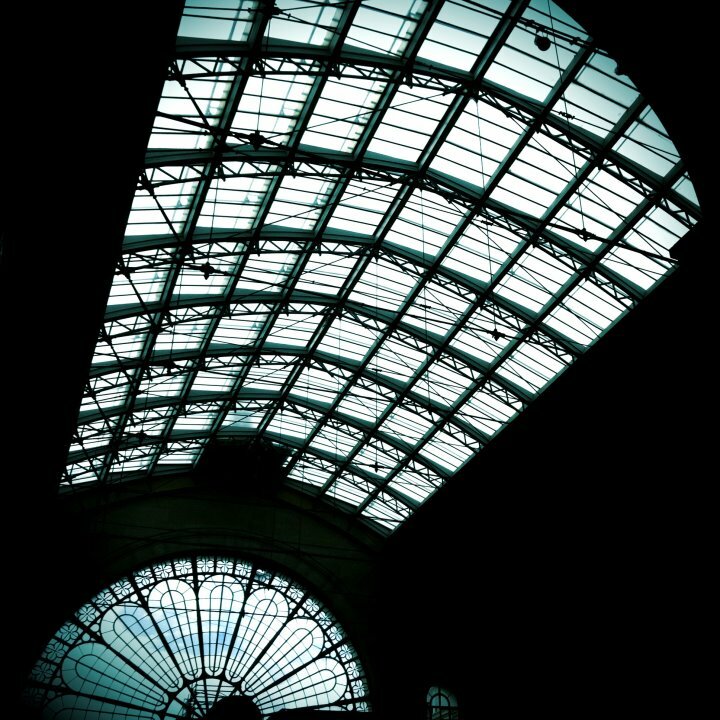 Paris clearly remains the railway hub of the country; the city has seven major train stations directing traffic outward into seven outlying regions like wedges of a big cheese … say, a big Camembert. Today, SNCF operates about 14,000 trains a day on RFF’s rails. 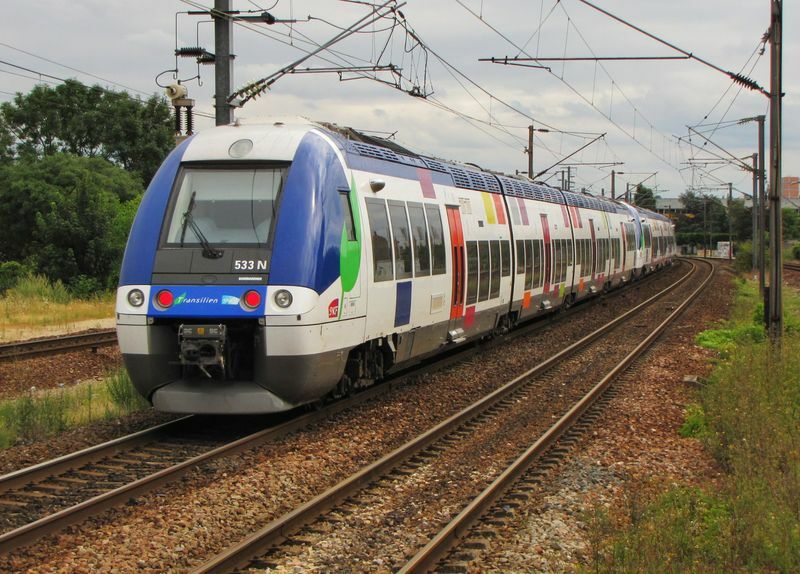 That includes not only the trains that roll between Paris and France’s other major cities like Marseille, Lyon, and Toulouse, but also suburban and regional trains that connect smaller cities and towns … even villages. TER (Transport express régional, or “Regional Express Transport”) connect towns within a region, for example, within Burgundy or within Brittany. TER operates 5,700 trains each day on 20 different regional networks and serves over 1,000 stations. 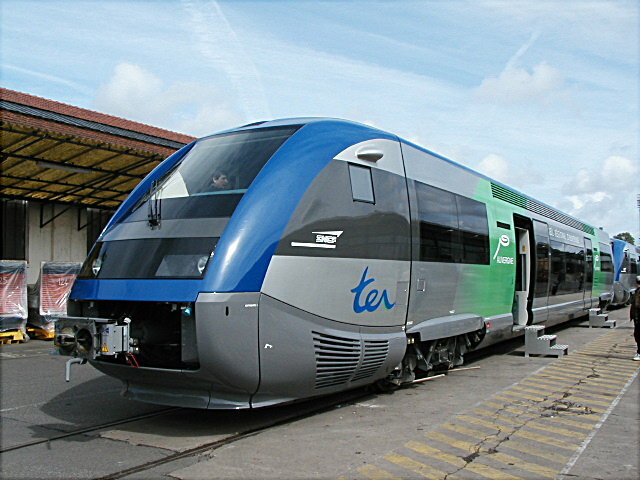 SNCF’s Transilien train service is the “TER of Greater Paris,” specializing in connecting towns in the Île-de-France region. Transilien operates over 6,000 trains on 14 different train lines with 388 stations.SNCF’s medium- and long-distance rail service uses two major systems. 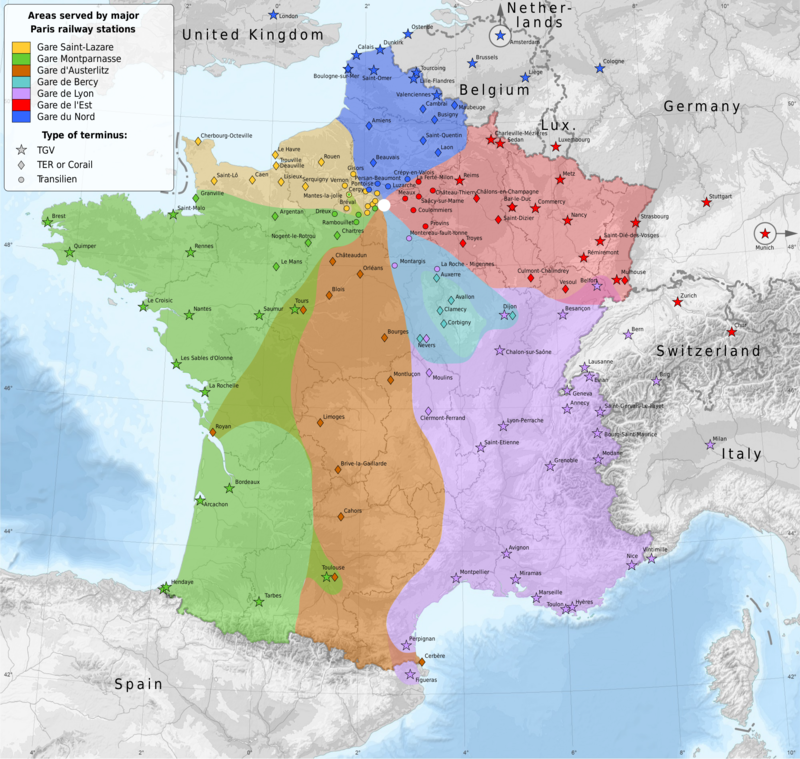 The first is the Intercités network, which SNCF describes as its “classic French rail service.” SNCF operates 340 Intercités trains linking Paris with other French cities and making region-to-region connections like Bordeaux-Lyon and Lyon-Tours-Nantes. The Intercités network of 367 stations helps to link the country by rail in a way that didn’t really exist before the 1938 nationalization. 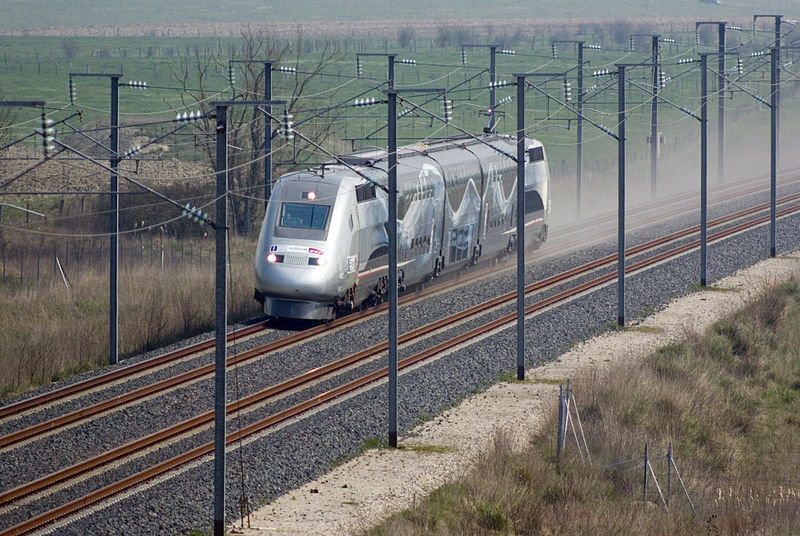 The second system, of course, is France’s world-famous TGV network (Train à Grande Vitesse, or “High-Speed Train”) that links cities within France but also links France to other European destinations. 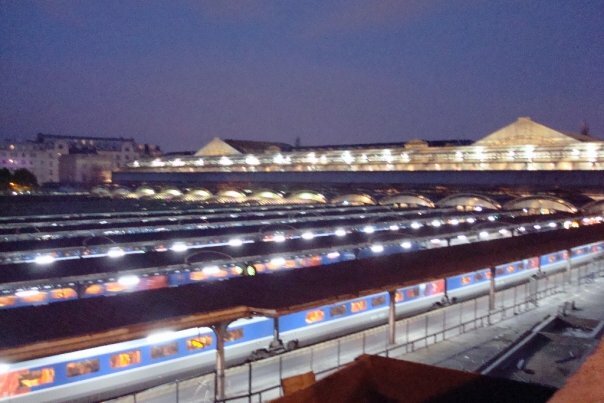 SNCF currently has 10 TGV lines in operation, 3 under construction, and another 10 in the planning stage. 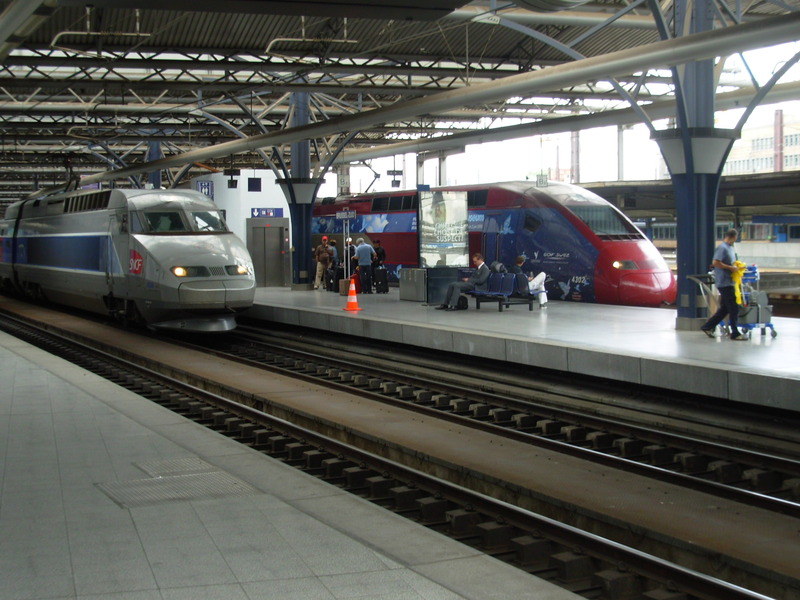 SNCF operates some 450 TGVs serving 230 destinations on this high-speed network. 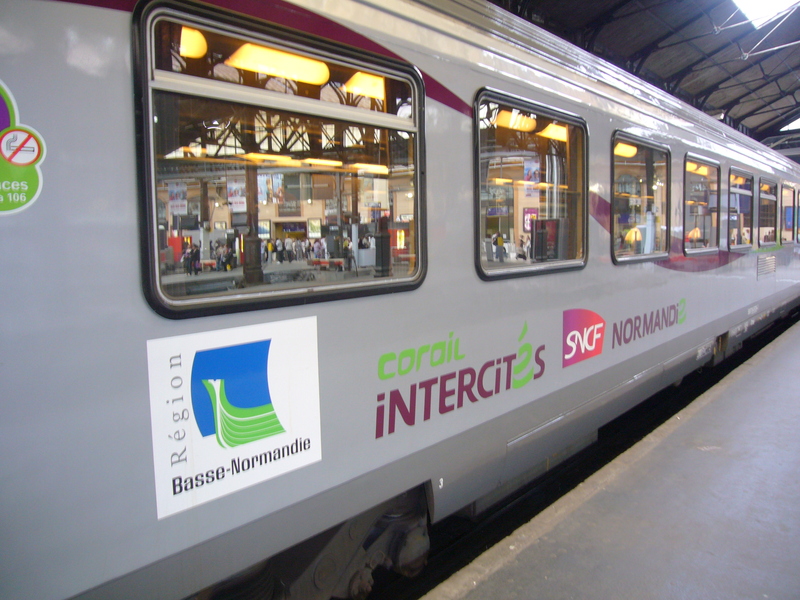 For international connections, SNCF provides service through companies owned in part by SNCF, or through joint ventures with foreign rail companies. SNCF owns a controlling share in Eurostar (providing TGV service between France, England, and Belgium), Thalys (providing TGV service between France, Belgium, Germany, and the Netherlands), and TGV Lyria (providing TGV service between France and Switzerland). SNCF also has international partnerships with Deutsche Bahn (providing TGV service between France and Germany) and Nuovo Trasporto Viaggiatori (providing TGV service between France and Italy). Recently, SNCF instituted TGV service to the Spanish town of Figueres in Catalonia. SNCF also owns 50% of the Spanish rail company Elipsos, with trains connecting France to Barcelona and Madrid, but these are not TGV. Through its partnerships, SNCF provides high-speed rail service to destinations as far-flung as London, Brussels, Amsterdam, Cologne, Frankfurt, Zurich, Geneva, Milan, Figueras, and points in between. Just how fast is the TGV? It depends on which line you’re traveling on, but it’s pretty impressive … especially to an American whose only high-speed train experience before coming to France was on the Acela between DC and New York. The Acela has a maximum speed of 165 mph, and a top operating speed of 150 mph along some tracks in Rhode Island and Massachusetts. That’s certainly nothing to sneeze at. Between DC and New York, however, the average operating speed drops to about 80 mph. The TGV, on the other hand, is in a different class altogether. It is currently the fastest conventional (wheeled) train service in the world, with a top operating speed of 200 mph along several of its lines, and an average speed of 174 mph along one stretch of the LGV-Est line in Champagne and Lorraine. As for its maximum speed? Well, the TGV POS set the world record in a 2007 test run on that same LGV-Est line with a staggering top speed of 357 mph! Where else can you find a suburban commuter train that doubles as a nightclub? Great article, I love trains too, they were my ticket to travel and independance at a young age. Growing up in a rural area, it was sometimes my only mode of transportation outside of the bus to get around. If my mom could not take me to my horse-riding lessons 20 km away, I would ride my bike to the local TER regional train station in the village 2 km from mine. Then, I could take the bike in the train and keep riding from the destination train station to the horse club all the way in the countryside… or roller-blade there. Lots of fun, weather permitting! Although I was never in France I do love trains, and hope that one day I’ll ride a TGV between Paris and Amsterdam! The pictures are real slick and so is the video you posted. Glad you enjoyed the post. 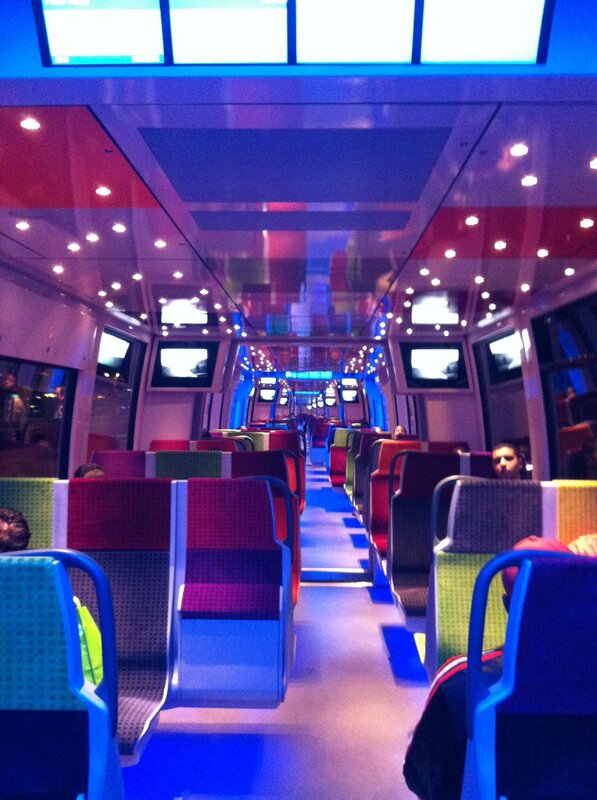 I am a huge fan of the TGV … needless to say!